NASA’s twin Van Allen Probes will spectacularly burn up in the Earth’s atmosphere when they are gradually dragged down towards the planet. The probes’ mission has come to an end after six-and-a-half years of exploring an incredibly hazardous area of space known as the Van Allen Belt. The Van Allen belt is an area of charged particles and radiation inside of the Earth’s inner geomagnetic field. NASA’s hardy space probes have explored this region of near-Earth space since 2012. The probes were initially designed for a two-year-long mission, but much like the decommissioned Mars Opportunity rover, the satellites outlived all expectations. 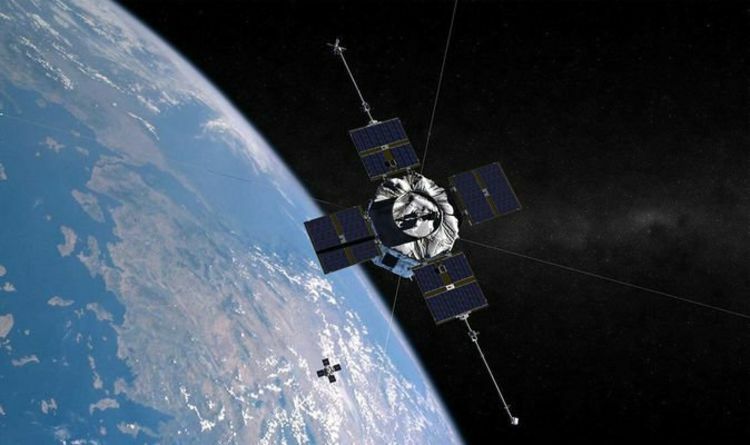 However, in February this year, the Van Allen mission team at the Johns Hopkins Applied Physics Laboratory (APL) pulled the plug on the satellites. Nelli Mosavi, the Van Allen project manager at APL, said: “At the new altitude, aerodynamic drag will bring down the satellites and eventually burn them up in the upper atmosphere. But it will take a while before the two satellites come crashing down towards our home planet. Because the NASA probes are not fitted with engines powerful enough to redirect them towards the planet in one simple manoeuvre, APL will have to perfume a series of small burns. The gradual repositioning of the two probes will send the satellites on 15-year-long descent towards Earth. Eventually, the drag of Earth’s atmosphere will pull them down until the force and heat of reentry burns them up before they reach the ground. The two satellites are still active and their propellant supplies are at good levels. But NASA regulations require all spacecraft in Earth orbit to be decommissioned and de-orbited after a period of 25 years. Mr Atchison said: “We need to manoeuvre when the satellites are at their highest orbit point away from the Earth, or what's known as apogee. “Ideally, we'd do all of the orbit change in a single manoeuvre on a single day. “However, we're limited by the capability of the thrusters, which are typically only used for very small manoeuvres to slightly adjust the orbit or the pointing. Between 2019 and 2034, the space probes will gradually decrease their orbit of the planet until they get pulled into the atmosphere.